Behind every successful website or mobile app, there is a strong mindset to not settle for less. With the same mindset, our team of designers strives to meet the growing trend of internet usage by creating exceptional website and mobile app designs to let you connect better with your target audience. We believe that an intuitive user interface, exciting design, and enjoyable user experience are the essence of any great website or app. Our competent web designer team creates sophisticated web and app designs to ensure high user retention and brand engagement. Our web experts understand the creative UX process and they have trained eyes to identify good UX design from bad one. 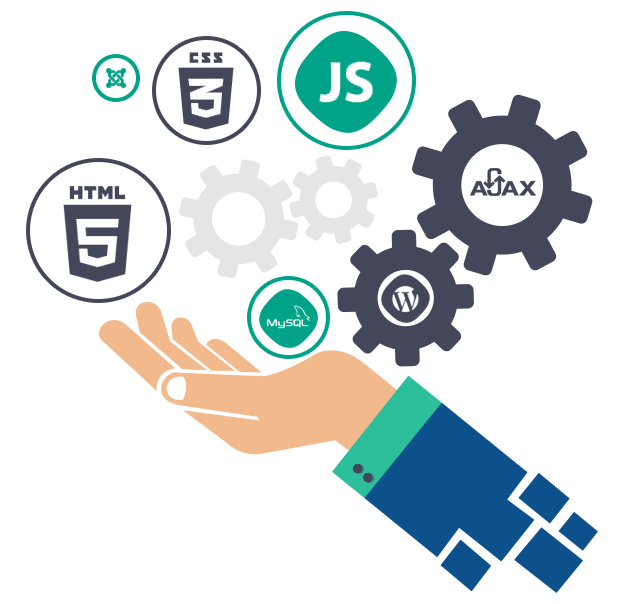 By using the latest and most relevant web design tools, we create meaningful experiences for users by improving the usability provided in the interaction with a website or app. Our web designers take complete responsibility for the visual aspect of your website. They conform to the required coding standards and use a variety of tools while designing beautifully innovative, yet functional websites. To bring your app ideas to life, we invest in quality designs throughout our interactive app design process and do not leave them as an afterthought, which results in high user adoption. After understanding our user needs, we design beautiful user interfaces for apps and websites by incorporating appropriate UI elements in order to make the user’s interaction as simple and efficient as possible. We believe that it is important to invest in designing a good user experience to outshine competitors and provide a seamless and personally relevant experience to users. To help your business sell a product or an idea, we use the most desirable tools & techniques to create and represent visual compositions of ideas, messages, and experiences.